Located at the Columbus State University Key Golf Studo located on University Ave. in Columbus, campers will gain a deeper understanding of the sport and build confidence in their ability while having fun with other campers. Practice driving, iron play, chipping, bunker play and putting, as well as learning the rules and correct etiquette. Light snacks and refreshments will be provided. 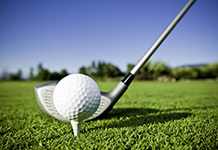 All campers are required to wear appropriate clothes and golf or tennis shoes and have their own golf equipment. For more information call CSU Golf Coach, David McMinn at 762-359-6622.